Car Accident Attorney Blog Bellingham | Tario & Associates, P.S. 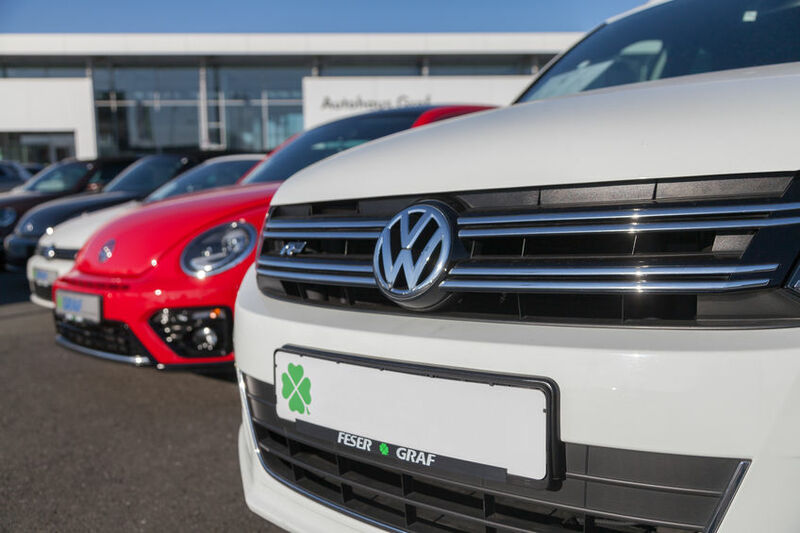 As reported by ABC news, Ex Volkswagen CEO Martin Winterkorn and four others were charged by German prosecutors on Monday, April 15 for fraud in the emissions cheating scandal and unfair competition. Now that spring is here along with warmer temperatures, more people are bringing their motorcycles out of the garage. 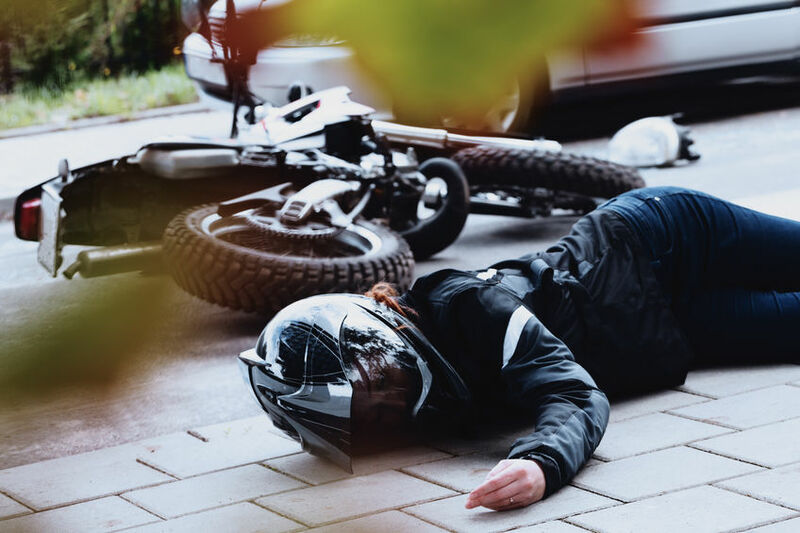 Many love the feel of riding a motorcycle but it’s clear that in a motor vehicle crash, motorcyclists are a lot more vulnerable to injury than a driver protected by a car. For those considering getting a motorcycle, safety considerations should be made. In another blow to airbag manufacturer Takata, Honda chose to recall 1.1 million Acura and Honda vehicles in the United States after a Takata air bag inflator injured a driver. The Takata airbags, that are already linked to the biggest automotive recall in U.S. history, can explode and shoot pieces of sharp metal at the driver and passengers when the air bag inflator is deployed during a crash. Ironically, the air bag inflators are meant to be a safety feature. Who’s at Fault in a Hydroplaning Accident? Driving in heavy rain is dangerous because it makes the roads slippery and reduces visibility. These factors dramatically increase the risk of car accidents, including rear-end and single-vehicle accidents caused by hydroplaning. The first 10 minutes of rain are the most dangerous time for rain-related car accidents because the oil from the roadway comes up and mixes with the water, making a very slippery surface. 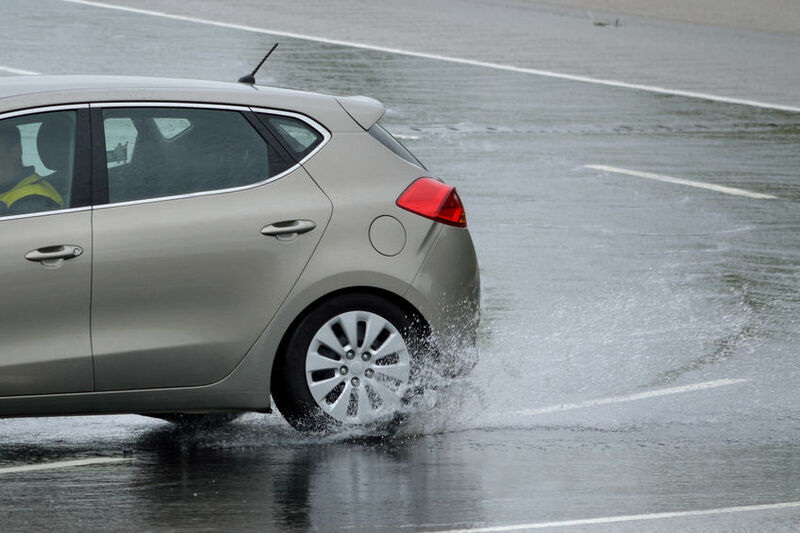 Hydroplaning is when water stays between the tire and the road, disconnecting the tire from the road and making the car glide on top of the water. (Normally water flows through the tire’s tread and is then brushed aside). Drivers struggle to maintain control of their vehicles while hydroplaning because the drag from the water pulls one side of the vehicle making the tires on the other side slow down. This pulls the vehicle in the direction of the slower side and makes the car spin. As local drivers are aware, many single-lane and double-lane roundabouts have been installed around Washington state in the last decade as a way to reduce car accident injuries and keep traffic moving more smoothly. 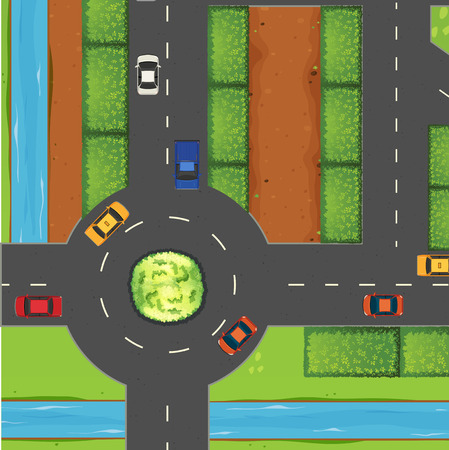 Studies have shown that roundabouts are safer than traditional stop signs or signal-controlled intersections, according to the Washington state Department of Transportation. In 2009, there were more than 33 million licensed drivers over the age of 65 in the United States and that number is estimated to grow to 70 million by the year 2030. Americans are living longer lives than previous generations but that means many are outliving their ability to drive safely by seven to 10 years. Cognitive, visual and physical declines mean that many elderly people are not able to drive as safely as they once were. 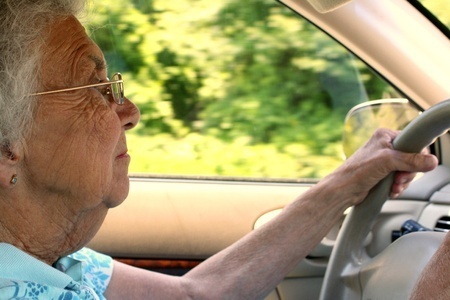 Most elderly drivers recognize their limitations and choose to stop driving in the dark, in rush hour traffic or far away from home even if they resist giving up their license. If you have an elderly parent who is still driving but you don’t feel should be, the first step is to have a discussion and ask them to get an evaluation at the doctor. About 4 a.m. on Monday, February 11, a large tractor-trailer hauling live chickens crashed on I-5 in Olympia, Washington. The accident happened near the exit to U.S. 101 where the truck hit the jersey barrier and knocked down a street light. The driver was not injured. Three southbound lanes and two northbound lanes were blocked as state troopers conducted the crash investigation and crews cleaned up the scene. The crash made a slow morning commute worse as there was ice and snow on the roadway. The chickens were found running around the freeway and it was not immediately known how many of the chickens were captured, how many escaped and how many were killed. Based on its size there is a possibility that the truck was carrying hundreds of chickens. The truck driver was cited for an alleged left-lane violation and negligent driving for driving too fast for weather conditions. Truck drivers are held to a higher standard for driving in the left lane than other drivers. While there are allowed to pass in the left lane, they need to get back into the right lane as soon as they can get back over. What makes semi-truck accidents unique? The average fully-loaded big rig truck weighs at least 80,000 pounds compared to the average passenger vehicle that weighs in at 3,000 pounds. The disparity in the weight and size of the vehicles puts the passenger vehicle at tremendous disadvantage. The large size of big rigs places limitations on the driver’s ability to accelerate, brake and turn; their visibility may also be limited. Truck drivers and manufacturers are held to higher standards than most other drivers so there is a higher likelihood of reimbursement for your injuries. According to a study by the U.S Department of Transportation Federal Motor Carrier Safety Administration, there were 10 common causes of truck accidents. Other big rig accident causes include distracted and negligent driving, limited ability to maneuver, inadequate training, systems of compensation that encourage faster driving, and unrealistic driving schedules that cause drivers to be over-tired or rushed. CNBC conducted interviews with regulators, industry, lawyers and victims and found additional reasons for trucking accidents. They found that in some cases trucking companies don’t screen for problem drivers and government is too slow to force new safety technologies or restrictions onto truck manufacturers and drivers because of the trucking industry’s tremendous contribution to the U.S. economy. If you have lost a loved one or been injured through no fault of your own, you have enough on your plate. Let an experienced accident attorney fight for the justice and fair compensation that you deserve. It is not uncommon to receive a settlement from the insurance company that is five to ten times larger with the help of a lawyer. Call the caring, tireless and experienced wrongful death attorneys at Tario & Associates, P.S. in Bellingham, WA today for a FREE consultation! We have been representing residents of Whatcom County, Skagit County and surrounding areas since 1979. You will pay nothing up front and no attorney fees at all unless we recover damages for you! Winter weather conditions can be scary and dangerous for drivers and they are a factor in almost half a million crashes and more than 2,000 road deaths every winter, according to research by the AAA Foundation for Traffic Safety. 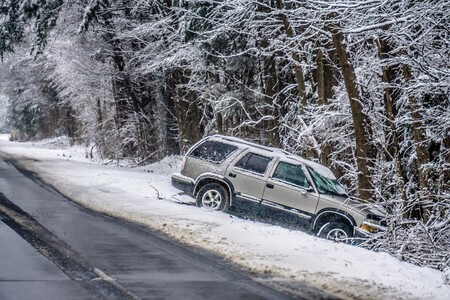 Whether you live in an area that gets a lot of snow or only gets buried once in a while, it takes effort to drive safely in the snow and reduce your risk of a snow-related car accident. Those who are overconfident because they have four-wheel drive or all-wheel drive often end up in the ditch. These snow driving tips from caranddriver.com and AAA can help you arrive at your destination safely. A 4-year-old boy was killed Wednesday, January 30 in a rear-end accident in South Jordan, Utah. A Dodge Neon traveling east rear-ended another vehicle that had stopped because of traffic just after 4 p.m. The initial crash caused the car hit by the Neon to rear-end the car in front of it as well. 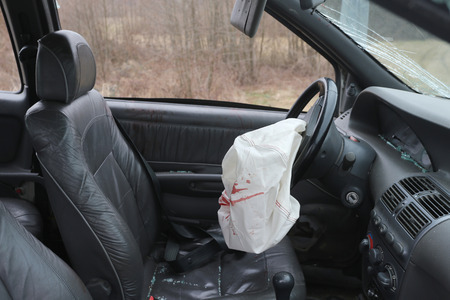 The 4-year old boy – who was sitting in the passenger seat and not in a child restraint or booster but wearing a seatbelt – was critically injured when airbags deployed from the impact of the crash. He died shortly afterward in the hospital. All other people involved in the car accident were checked by medical responders at the scene and released. As a result of the tragic crash, South Jordan police sent out a reminder to make sure children under age eight are properly restrained in car or booster seats, and that children under age 13 ride in back seats. You never know what a cellphone video camera is going to capture. On January 26, 2019 an onlooker filmed a 65-year old man named Richard Kamrowski clinging to the hood of an SUV as it was driven by 37-year-old Mark Fitzgerald at speeds of up to 70 miles an hour for three miles. The road-rage incident began after the men got into an argument over a minor side-swipe car accident on the Massachusetts Turnpike. Fitzgerald attempted to flee the scene of the accident when the argument began; Kamrowski then jumped on the hood of Fitzgerald’s SUV. According to Kamrowski, Fitzgerald drove fast and slowly, then fast again in an apparent attempt to get him to slide off the hood. It took other drivers – including one with a gun – to convince Fitzgerald to stop his vehicle. Both men were arrested by Massachusetts State Police. Fitzgerald was charged with assault with a dangerous weapon, negligent driving and leaving the scene of an accident involving property damage and Kamrowski was charged with disorderly conduct. The man with the gun was not charged. Click here to see the video.